We work with dozens of local lenders so you can apply for financing for your next purchase. Apply for approval today! Take advantage of our knowledgeable Chevrolet service technicians and a fully-stocked inventory of vehicle parts. For over 70 years, our Chevrolet dealership in North Carolina has served the Jacksonville community, providing a wide selection of new and pre-owned vehicles, but also auto service and auto loan financing. For these reasons, we’re the trusted dealership for many residents of Swansboro, Sneads Ferry and Camp Lejeune. Our customers value our friendly customer service and the expertise of our staff. 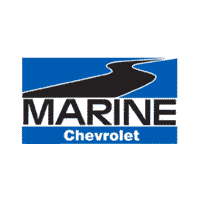 So regardless of if you’re on the hunt for a new Corvette, or need a tune up for your Malibu, we’re the Chevrolet dealership that can handle all of your needs. We’re known across the region for our large selection of new and pre-owned cars, trucks and SUVs in Jacksonville. In addition, Chevy is always updating and improving their line-up of classic American vehicles. So, no matter what your budget or lifestyle, we’ve got the perfect vehicle for you. If you’re looking for a premier pick-up truck that packs all the power and performance you’ll ever need, check out the Silverado line-up. On the other hand, if you have a need for speed and want a piece of American muscle, then look no further than the Camaro. If you need something a bit more family-friendly for road trips, ice cream runs and piano lessons, then check out the newly designed Traverse. Lastly, if you’re looking for a sophisticated sedan for the daily commute and Sunday fundays, then check out the updated Malibu. So, don’t hesitate for another moment. Schedule a test drive for one of our great vehicles today at our Chevy dealership in Jacksonville. Problem with your car? Time for your next scheduled maintenance? Our mechanics have the tools and knowledge to quickly diagnose and repair your vehicle to get you back on the road. Schedule today and we will confirm your appointment via your preferred contact method as soon as possible.